The NAMM Show is one of the largest music product trade shows in the world, founded in 1901. It is held every January in Anaheim, California, USA, at the Anaheim Convention Center. In addition, a smaller show, Summer NAMM takes place each July in Nashville, Tennessee. 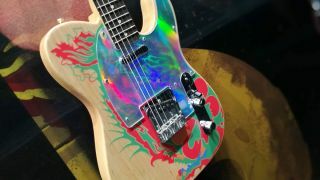 NAMM 2019 VIDEO: It's a wrap! NAMM 2019: Is this leaked Akai APC Live for real? Is this what happens when you cross an MPC Live with a Push controller?